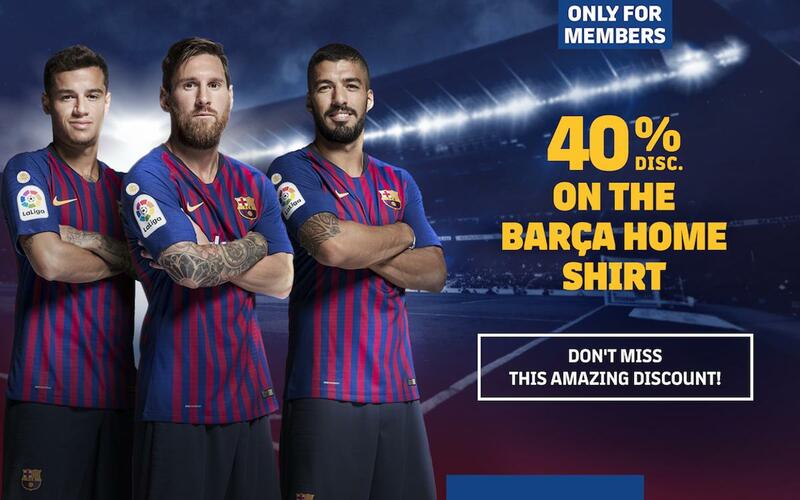 Among the new benefits for FC Barcelona members is the chance to purchase a new Barça home blaugrana jersey at 40% off. This special promotion begins on Monday, September 24 and gives members exclusive access to the new first team shirt, complete with a personalized name and number, and the new La Liga champions patch commemorating the team's title in the 2017-18 season. Once registered, members will receive the coupon to go and buy the jersey between October 5 and 17 at the Barça Megastore at Camp Nou or at the Barça store on Passeig de Gràcia in the center of Barcelona. To complete the purchase, members must present the coupon, their member ID card, and their Spanish DNI or NIE.